‘The Twilight Saga: Eclipse’ Released on Blu-ray and DVD Tonight at Midnight! Enter to Win a FREE Copy! Buy the Blu-ray + DVD combo / 2 Disc DVD on sale now! 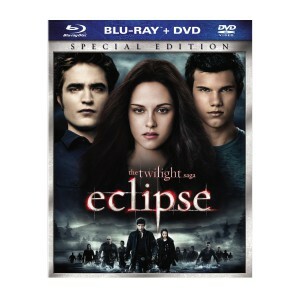 Enter to win a FREE copy of ‘The Twilight Saga: Eclipse” on Blu-ray or DVD! Available to purchase at 12am on 12/4! In order to enter the contest, become a fan of ReviewSTL on Facebook and suggest ReviewSTL.com to all your friends (click the “suggest to friends” link on the left side of the page). Then post a comment on the ReviewSTL fan page telling us why you want to win a copy of the movie! NO PURCHASE NECESSARY. PLEASE REMEMBER TO READ THE RULES! ‘The Twilight Saga: Eclipse’ is available on Blu-ray and DVD on December 4.